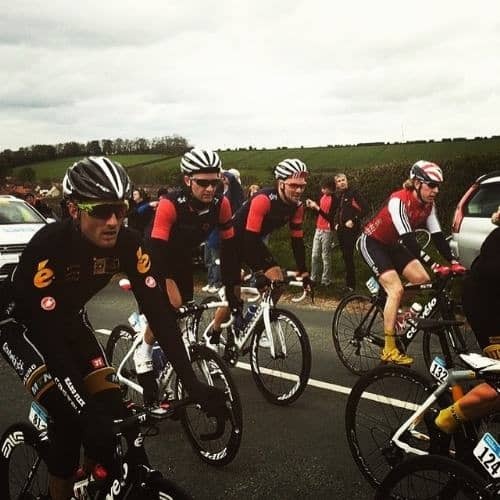 Last weekend i raced for Great Britain in the inaugural Tour de Yorkshire, a UCI 2.1 stage race with the likes of team Sky, Giant alpecin, BMC and MTN Qhubeka racing. Going into this race i knew i was in for a tough time and was going to suffer, and boy i did. Being on antibiotics and having not really touched the bike the previous week, because of a nasty crash, did not help my form for the race. So the first stage came as a bit of a shock to the system. Stage 1 started relatively steady with an early break forming then team sky taking up the chase at a steady pace. but about 95km the race split to pieces up one of the steepest climbs going through dalby forest. i found myself getting dropped and forming one of the rear groups with about another 30 riders. We rolled in about 16 mins down, First stage completed. The 2nd stage was a relatively flat stage compared to stage 1 with only 900m of climbing compared to yesterdays 2100m. But this still didn't stop stage 2 from being a hard day. I managed to get into an early break of 18 for the first 20km, then the main break of 6 formed from this 18. 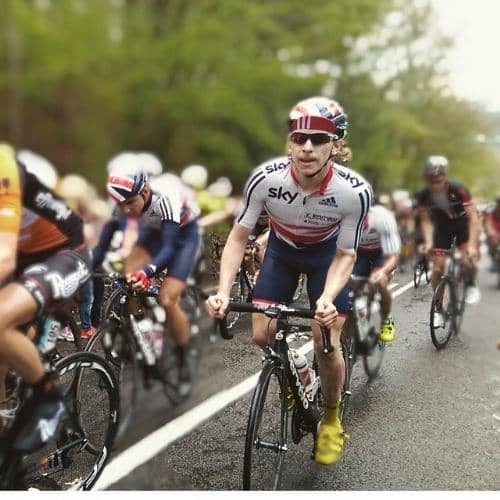 It was good to be involved in the race and get a taste of how hard you need to ride to get into a break ta this level. The 3rd and final stage. was the hilliest of all with 2500m of climbing going up climbs of a 25% gradient. I managed to make it round the early climbs. About 100km in i found myself in a large including the green jersey from Lotto Jumbo. We rode in for the last 60km at a steady pace. This weekend was a tough 3 days for myself. I felt myself getting stronger as the 3 days went on and now i look forward to some more stage races in May where hopefully i can improve on my form and look into getting some good results.